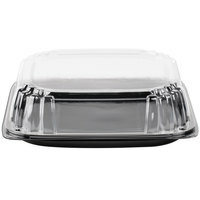 Stock up on serving platters and trays with lids, so you can transport appetizers, baked goods, and other foods to events. 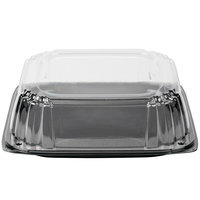 All of the trays we carry feature sturdy constructions that won’t easily cave in when holding your foods, and their compatible lids create tight seals that keep their contents fresh. 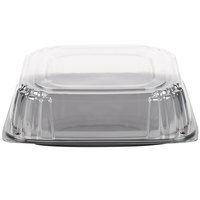 It’s also convenient that every serving platter with a lid is disposable for quick and easy cleanup. 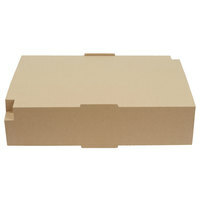 Also make sure to check out other great items from LBP, Polar Pak and Sabert. 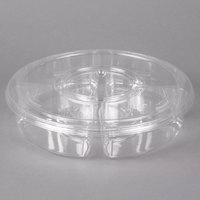 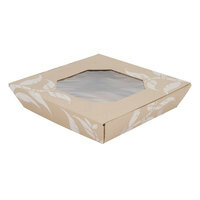 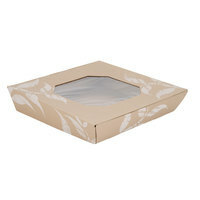 These serving platters and trays with lids can be used to accommodate a variety of foods, including cookies, donuts, bagels, pasta dishes, and cheese assortments. 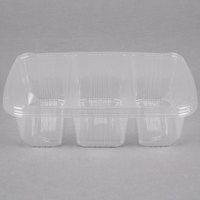 Choose from products that are better suited for your heavy-duty transporting needs and items that have clear constructions, which are ideal for merchandising purposes. 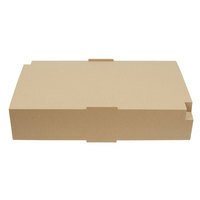 Select styles even have multiple compartments to keep different foods separate during transport. 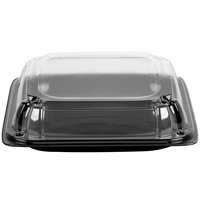 While you’re shopping for supplies for your catering needs, be sure to check out our food picks, disposable table covers, and plastic serving utensils. 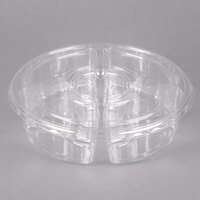 If you're wondering where to buy serving trays with lids, we have a large selection of serving trays with lids for sale at the lowest prices.